The Interpreter Advisory Committee, since renamed Language Access Committee (LAC), was established by the Nebraska Supreme Court in 2005 to create, evaluate, and recommend statewide policies, rules, and regulations for language interpreters in the courts and probation. The LAC is comprised of judges, attorneys, interpreters, probation representatives, Judicial Branch administrative staff, NSBA representatives, and community organizations. The mission of the LAC is to secure and protect the rights of persons who are unable to readily understand or communicate in the English language and who cannot meaningfully participate in legal proceedings unless qualified interpreters are provided. 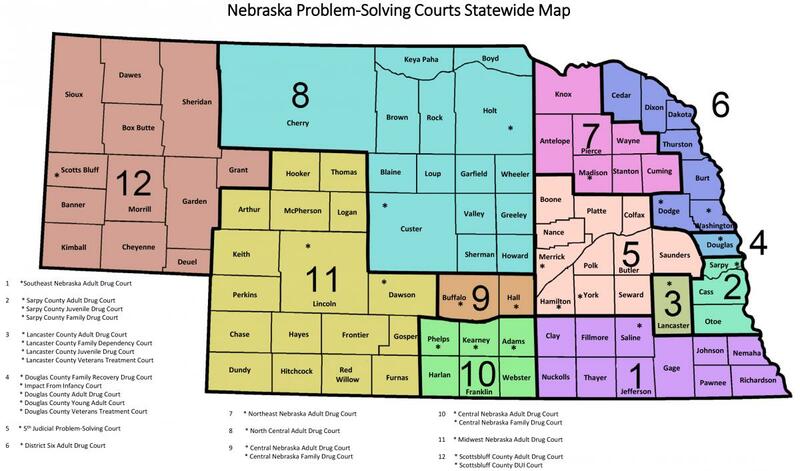 Interpreter services in courtrooms and probation offices across Nebraska are provided by over 125 interpreters in nearly 50 different languages, including sign language. Since its inception, the Committee has prioritized: 1) recruiting, training, and funding interpreters; 2) assessing language access needs in communities across the state; and 3) leveraging technology to provide services for remote interpretation. Some of the accomplishments achieved by the LAC over the past several years have included: hiring a full-time Statewide Language Access Coordinator (October 2015); revising and improving the interpreter training program and certification testing schedule; hiring full-time Interpreter Coordinators in more populated areas to administer local interpreter services; and improving electronic scheduling of interpreters using a centralized calendar. The Language Access Committee, chaired by Justice Jeffrey Funke is currently working on rule revisions regarding interpreter candidate criminal history background checks to reduce or eliminate costly testing for interpreter candidates ineligible for certification. The Committee is also working on revisions to Supreme Court Rules regarding interpreter discipline. Work is also in progress to design, develop, and implement of an Interpreter Ethics Committee Opinions webpage for inclusion on the Supreme Court website.